Ancient fortresses, holy cities, medieval monasteries, vast lakes and mountain scenery, Armenia has a lot to offer. Our tours to Armenia cover the must-sees and must-dos, as well as extra gems like tasting fresh bread cooked in a tandoor pot in the ground. For visitors the country has so much to offer. The capital, Yerevan, is one of the world’s oldest continuously inhabited cities, dating back to the 8th century BC. Since independence in 1991 Yerevan has moved on from its Soviet-era past and now enjoys a cosmopolitan café culture with sophisticated streets and squares lined with shops and restaurants. 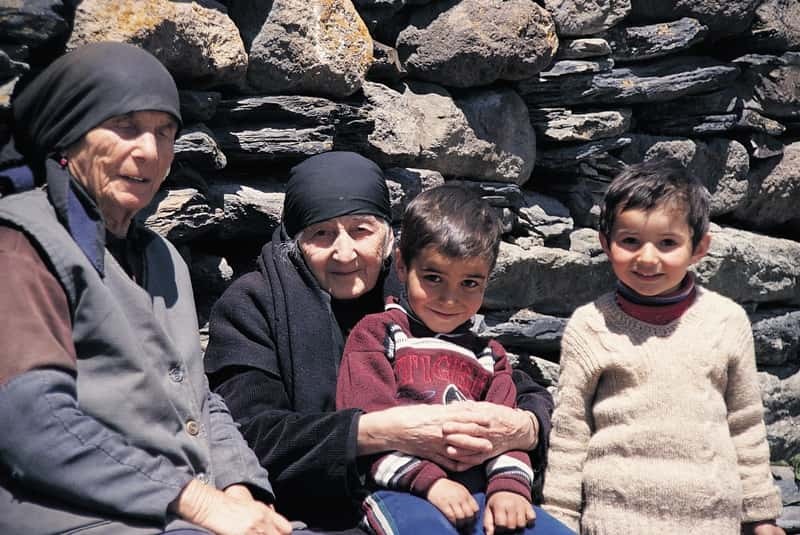 One third of Armenia’s population live in the capital, while much of the rest of the country is a sparsely populated land of wild, rock-strewn mountains cut with gorges and canyons. Here you can travel between tiny villages where time seems to have stood still and witness centuries-old traditions including the sight of shepherds moving their flocks across the pastures. Armenia’s golden era was in the 10th and 11th centuries and this period saw the construction of many of the country’s most famous monasteries and churches. Some of these, such as the lovely church complex of Ani, now lie across the border in modern-day Turkey, but elsewhere you can admire the traditional domes and relief carvings at dozens of churches and monasteries including Noravank, Geghard and Khor Virab. Elsewhere you can discover the legacies of the Romans, Ottomans and Persians, not to mention the Soviets with their heavy concrete architecture. There’s much more to Armenia than its abundance of historical sights and its wild, windswept landscapes: you can enjoy a unique cuisine that shows influences from east and west, taste wine and brandy from some of the oldest vineyards in the world, sample the famous trout from Lake Sevan, hike on the 4,090 metre Mount Aragats and immerse yourself in a unique culture whose importance far outweighs the country’s tiny size.